Below you can view all the homes for sale in the Wakefield subdivision located in Greenwood Indiana. Listings in Wakefield are updated daily from data we receive from the Indianapolis multiple listing service. To learn more about any of these homes or to receive custom notifications when a new property is listed for sale in Wakefield, give us a call at 317-493-0959. Interior recent updates include the engineered hardwood flooring, tasteful lighting throughout, lush landscaping, interior paint, bar area in basement which includes 2 wine refrigerators, beadboard in the laundry room, & updated vanity top and faucet. MLS#21633340. CENTURY 21 Scheetz. Don't wait to see this one! MLS#21632466. My Agent. Fresh paint throughout with new appliances in the kitchen and laundry room. 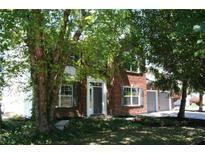 MLS#21632818. Nouveau Services, LLC. Much more to see; come visit! MLS#21632664. Carpenter, REALTORS®. Extra 4 ft. garage bump out. 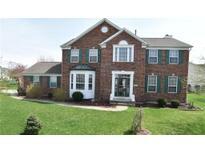 Center Grove schools MLS#21630439. Carpenter, REALTORS®. You would also love and enjoy a nice deck for your outdoor activities. MLS#21628634. REALTY WORLD-Harbert Company. Sellers can remove temporary 1/2 wall in garage (to keep dogs contained for access to backyard thru doggie door on service door)! MLS#21627529. F.C. Tucker Company. Needs a lot of work, but the price is right. MLS#21622252. Dollens Real Estate Services. 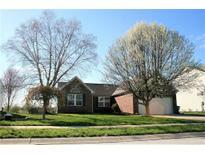 Huge custom built paver patio, 2 car garage, Center Grove School System & Quick access to Hwy 37. Hurry, this won’t last long! MLS#21614172. F.C. Tucker Company.